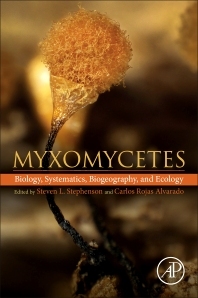 Myxomycetes: Biology, Systematics, Biogeography, and Ecology is a comprehensive overview of the body of accumulated knowledge that now exists on myxomycetes. Its broad scope takes an integrated approach to the knowledge of this organismal group, considering a number of important aspects of their genetics and molecular phylogeny. It also treats myxomycetes as a distinct group from fungi, and includes molecular information that discusses the systematics and evolutionary pathways of the group. Additionally, biomedical and engineering applicability is discussed, thus expanding the audience and use of the book in a multidisciplinary context. The book provides an authoritative resource for students, researchers and educators interested in the fields of protistology, microbial ecology, molecular microbiology, biogeography, mycology, biodiversity, and evolutionary biology, and will also interest the amateur naturalist and biologist. Dr. Rojas is the most active researcher currently studying the biology of myxomycetes in all of Central America. His studies of the ecology of the group have taken him to North, Central and South America as well as Northern Africa, Europe and Southeast Asia. He has published more than 30 scientific articles on myxomycetes and coedited a book on forest ecology. He is currently the editor of the journal Revista Ingeniería based at the University of Costa Rica and associate editor of Mycologia and several other journals. Dr. Stephenson is one of the world’s leading authorities on the myxomycetes. His research on the group for more than 35 years has taken him to all seven continents and to every major type of terrestrial ecosystem. He is the author or co-author of more than 300 peer-reviewed papers and book chapters along with seven books on myxomycetes, fungi and forest ecology. His field guide Myxomycetes: a Handbook of Slime Molds (Timber Press, 1994) has sold more copies than any other book on these organisms. He served as editor-in-chief of the major international journal Fungal Diversity and has been or is an associate editor of a number of journals, including Mycologia.